The US has repeatedly vowed to battle Al-Qaeda, but has so far been reluctant to attack the group’s Syrian branch, Al-Nusra Front, instead criticizing the Russian and Syrian Armies for striking it. Everyday Americans and experts have told RT how confusing this attitude looks. Al-Qaeda, the Sunni Islamist multinational terrorist group founded back in 1988 by Osama Bin Laden, is among the United States’ most-targeted enemies. It was behind the 9/11 attacks that killed 2,996 people and injured over 6,000 others, becoming the deadliest act of terrorism in world history. The US authorities have sworn to go after the group on numerous occasions, even once they had eliminated its leader in 2011. 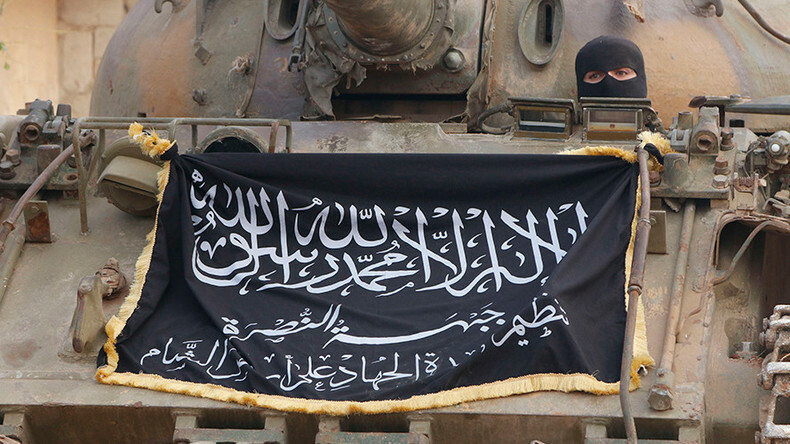 Yet despite declaring Al-Qaeda’s offshoot in war-torn Syria, Al-Nusra Front – recently renamed Jabhat Fateh al-Sham – a similar threat and terrorist group, the US government has been reluctant to battle it, and even berating those who do. “We’ve been clear, and so [have] 65 other nations […] that the threat of terrorism in Syria is significant, predominantly from Daesh [Arabic pejorative for Islamic State/IS] and from Al-Nusra, which […] we consider Al-Qaeda in Syria,” US Department of State spokesman John Kirby said at a daily press briefing on Wednesday. Kirby didn't specify how the US plans to “degrade and defeat” terrorists, but criticized the Russian and Syrian efforts on the matter. “[Terrorists] are not likely to want to leave while they’re continuing to be bombed. What needs to happen is a cessation of hostility and the bombing needs to stop. And who’s doing the bombing? It’s the regime and it’s Russia,” Kirby said. And that was not the first time US officials had expressed such contradictory thoughts, claiming they will fight terrorists when they’re separated from the so-called moderate Syrian opposition. 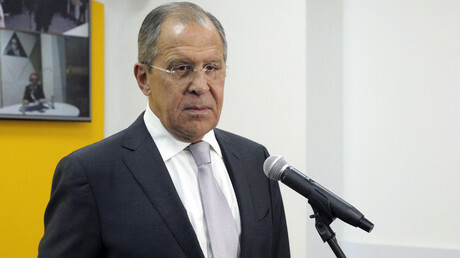 In a Sunday interview, Russian Foreign Minister Sergey Lavrov said Moscow has concerns that the US plans to keep Al-Nusra Front around to help overthrow Syrian President Bashar Assad. RT crew in New York asked Americans if they think it’s wrong for the United States – or Russia – to fight Al-Qaeda followers in Syria. “I think we need to maintain the effort, gather as much intelligence as possible and try to act on any efforts to attack us,” one person said, adding that it’s not wrong for Russia to fight the terrorists either. “As long as [Al-Qaeda] keep attacking us and bringing terror to the world, I think it’s right for us to fight them,” another New Yorker reasoned. “It makes no sense, it’s a big mess over there,” another said, commenting on the fact that so-called moderate rebels in Syria are intermingled with Al-Nusra militants. When asked if it's wrong for Russia to fight them, he said, "No." Brian Becker, a national coordinator for the US-based antiwar and civil rights ANSWER Coalition, formed in the wake of the 9/11 attacks, believes Washington has clearly switched from its former policy in pursuing terrorists to a new one – that of ousting the Syrian president. “I think we can see by the way US has conducted the war against Al-Nusra and Daesh, the so-called Islamic State, and other terrorist groups in Syria, that they have a schizophrenic policy. They admit now, the State Department admits it has been unwilling to bomb Al-Nusra positions for the last year […] because the so-called moderate rebels are intermingled with them. "We have to place this in context: 15 years ago in one month the US was attacked on 9/11 and during the last 15 years the US says its top priority is to destroy Al-Qaeda, it’s conducted what it’s called the War on Terror – and now we have Al-Qaeda in Syria and the US refuses to bomb those positions. 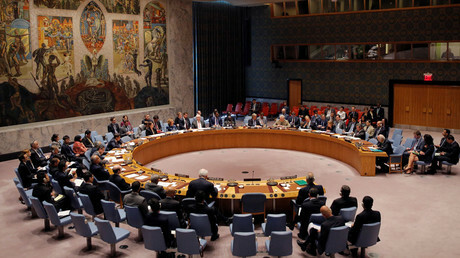 Because its real priority is not defeating Al-Qaeda, its priority is ousting President [Assad],” Becker said. Last week, Washington declared the joint US-Russian peace efforts on Syria a failure, suspending bilateral contacts with Russia over the crisis “because of Moscow’s intransigence and unwillingness” to restrain the government in Damascus. Political analyst Chris Bambery told RT that, based on its actions, Washington does not have any clear strategy on Syria whatsoever – unlike Russia. “There’s no coherence to the American policy on Syria. That is the fundamental problem, because John Kerry is completely trapped inside that lack of any coherence. "At least – and ordinary people see this – the Russians, whether you like it or not, whether you agree with them or not, have a policy in Syria, it is ‘the’ policy, it makes sense and they’re implementing it. You can’t understand what the American policy is. So I do hope that Lavrov and Kerry get the show back down on the road again […], some of the regional players like Saudi Arabia, like Turkey need to be involved in negotiations, because the Americans clearly are not in control of what is going on on the ground,” Bambery said. Meanwhile, Aleppo is still a battleground, with the authorities in Damascus recently stating “there is no other option” but to continue to fight the rebels until they leave the city. Earlier this week, an RT crew filming next to the frontline captured black flags with Islamic State (IS, formerly ISIS/ISIL) and Al-Nusra Front symbols flying above the rebel-controlled eastern part of Aleppo. Within the last 24 hours, the Russian center for reconciliation of opposing sides in Syria registered some 47 shellings “performed by illegal armed formations” in the provinces of Aleppo, Damascus, Latakia, Hama and two others, including the shelling of Russia's embassy in the capital.